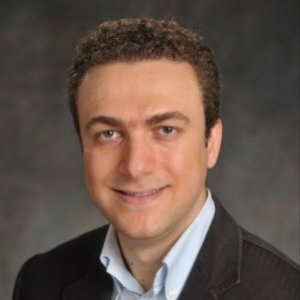 Dr. Ozcan is the Chancellor’s Professor at UCLA and an HHMI Professor with the Howard Hughes Medical Institute, leading the Bio- and Nano-Photonics Laboratory at UCLA School of Engineering and is also the Associate Director of the California NanoSystems Institute (CNSI). He is also the co-founder of Holomic LLC (http://holomic.com/), a start-up that is based in Los Angeles. Dr. Ozcan holds 27 issued patents (all of which are licensed) and >20 pending patent applications and is also the author of one book and the co-author of more than 350 peer reviewed research articles in major scientific journals and conferences. Dr. Ozcan received several awards including the Presidential Early Career Award for Scientists and Engineers (PECASE), SPIE Biophotonics Technology Innovator Award, SPIE Early Career Achievement Award, ARO Young Investigator Award, NSF CAREER Award, NIH Director’s New Innovator Award, ONR Young Investigator Award, IEEE Photonics Society Young Investigator Award and MIT’s TR35 Award for his seminal contributions to near-field and on-chip imaging, and telemedicine based diagnostics. Dr. Ozcan is also the recipient of the National Geographic Emerging Explorer Award, National Academy of Engineering (NAE) The Grainger Foundation Frontiers of Engineering Award, Popular Science Brilliant 10 Award, Gates Foundation Grand Challenges Award, Popular Mechanics Breakthrough Award, Netexplorateur Award, and the Wireless Innovation Award organized by the Vodafone Americas Foundation as well as the Okawa Foundation Award. Dr. Ozcan is a Fellow of SPIE and OSA, a Senior Member of IEEE, a Lifetime Member of AAAS and a Member of BMES.